Smartphones and full submersion don’t mix well. That’s why Simms designed its Waterproof Wader Pocket so you can stay connected in a deluge or after an impromptu dunking. 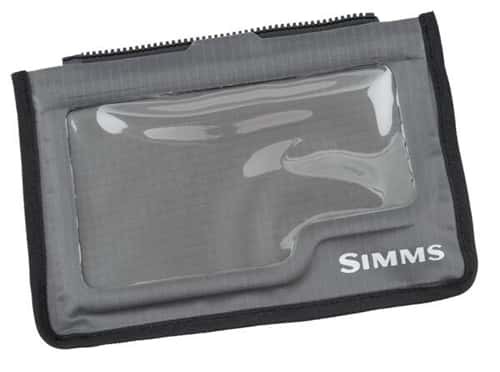 Featuring a touch-screen compatible window, pockets conveniently interface with Simms’ Tipper Tender™ zip-in system—available in Simms’ Waders.